The internet has given way to countless self-diagnosis tools. From WebMd to apps that will actually send images of skin lesions or EKG readouts to medical professionals, patients are increasingly likely to seek pre-diagnose themselves before they ever set foot in a doctor’s office. Unfortunately, diagnosis is best left to skilled professionals. In many cases, patients end up unnecessarily upset and visit their dentist or medical doctor fearing the worst possible scenario has occurred. Leave the medical diagnosis to the professionals, and avoid becoming overly concerned with the potentially disastrous results of a self-diagnosis. One of the latest DIY dentistry trends is at-home orthodontics. 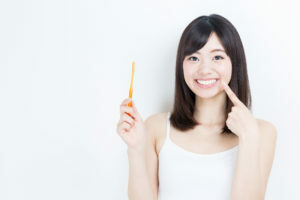 In the past, straighter teeth meant countless orthodontist appointments, but today, things seem to have dramatically shifted. Now, patients can sign up to straighten their teeth online. Then, they’ll receive kits to capture impressions that will be used by manufacturers to craft clear, plastic alignment trays. Each set of these aligners should shift your teeth one step closer to the desired end result, but without the careful examination of skilled orthodontists or general dentists, these treatments are much more likely to be unsuccessful. Rather than risk potentially permanent damage to your teeth and bite, consider working with your dentist or orthodontist to create an alignment tray orthodontic plan. While you won’t be able to complete the entire process at home, you’ll still have a clear braces orthodontic system, but you’ll also look forward to more predictable results. At the Mansfield dentistry office of Sandi L. Hamm, DDS, we are happy to help our patients better understand the costs and benefits of DIY dentistry techniques. If you’re considering any of these trendy smile hacks, call to schedule an appointment with our team first. We’ll be happy to review the DIY treatment with you, discuss the professional treatments we offer that may provide safer, more predictable results, and help you find the best treatments to achieve your desired smile results without doing permanent damage to your oral health.